Crime novel is a kind of popular literature that describes crime, the detection process and criminals. It is different from mainstream literature, science fiction, adventure novels and other popular literature. It contains several literary types, such as detective novels, legal thrillers, tough guy novels, spy novels and so on. Crime novels originated in Europe in the early 19th century, then prevailed in Britain and the United States under the promotion of the development of printing, and reached the peak in Britain in the second half of the 20th century, mainly reflected in the prosperity and development of the three types of historical detective novels, police procedural novels and new spy novels. Historical detective novels are the mainstream of British detective novels from 1970s to 1980s. In 1977, the British writer Ellis published its Katie Peters brother series first to swallow bones, the background is due to the 12th century Britain, the protagonist Katie brothers in the detection of the case at the same time takes the reader into a real medieval times, both inside and outside the monastery witnessed a society's religion, family, social, political, and cultural atmosphere. Once published, the book was a huge success, and Peters followed it up with 20 more Katie brothers books over the next two decades, most of which were made into radio and television dramas. Then Peter los eph west, lindsay Davis British writer also successfully launched its own work, his works in the narrative detective solve crimes at the same time, truly restore history, through the historical review, modern society has been widely praised. The prevalence of historical detective novels in Britain at the end of the 20th century is inseparable from the background of The Times. The 20th century was coming to an end, a new millennium was coming, and millennialism was beginning to influence people's minds. According to the description in the bible of Christianity, before the end of the world, Christ will personally rule the world for a thousand years. During this period, the saints who believe in Christ will rise up and be king together with Christ, but others have not risen yet, the devil is temporarily bound, and the Gospel will be spread throughout the world smoothly. At the end of the millennium, the devil was released again, again threatened human beings, and finally, those who did not rise from the dead for the first time were judged, and after that, people expected a new heaven and a new earth to appear. Therefore, the millennialism is originally a kind of eschatological ideal expressed in the bible. As a result, the new millennium was approaching and eschatology became a theory of social concern. Scholars began to study the possibility of the end of history one after another, and the literary world became interested in historical themes again. Therefore, as an important branch of detective novels, historical detective novels reached its peak at this time. The historical detective novel is a detective novel which takes the detective as the subject matter and takes the history as the background. It contains elements of a whodunit: the main clue revolves around a crime related mystery, solved by professional or non-professional detectives using investigation and logical reasoning. It also has a historical context: the plot takes place at least two decades or even centuries before the book is published, and the historical context is often chosen in controversial and familiar places. A detective in a historical detective novel is usually a real historical celebrity or sometimes a fictional character. Moreover, writers are usually proficient in archaeology, history and other related disciplines, and can restore the historical authenticity to a certain extent in their works. But while the novel is about the past, the book itself is a reflection of modern society. Since the rise of historical detective novels is related to eschatology, there are various forms of its panic psychology, which can be roughly divided into four categories: escapism; Into a maze; Border battles; Blind vision. Each genre represents a state of mind, and readers can find their own feelings in novels. British history is the most representative writer of detective novels, Ellis Peters and Peter lo, west and lindsay Davis. Police procedural novel is also a kind of detective novel, but in this kind of novel, the protagonist of the case investigation work is not any kind of professional or non-professional detective, but the police working in the government departments. Usually, this policeman is responsible for solving several cases at the same time according to the needs of the department. Sometimes he also needs to play the role of a team, that is, he as the core, the organization of a capable police detection team. 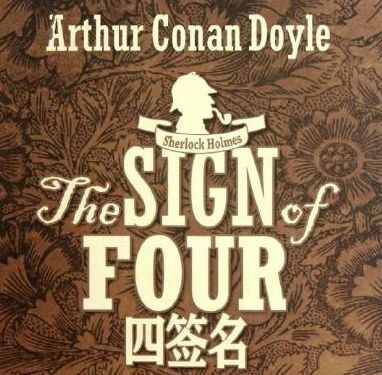 But in either case, the novel contains a large amount of realistic description of his personal or team members' daily life and work, especially the realistic description of the case solving procedures and skills. In essence, the police procedural novel is a kind of popular novel that describes the case investigation procedure realistically from the perspective of police narrative. Compared with the detective in detective novels, the police in police procedural novels have obviously different characteristics. The detective in a detective novel, whether professional or not, is a very free character. They can take any method of detection at will. As a member of a government agency, the police in police procedural novels must act in a way that does not violate the departmental system and working procedures. They must know what they can and cannot do in real life. There are two situations: one is that the individual views of the police are consistent with the will of the superior, and the success of the case investigation highlights the wisdom of the collective; the other is that the views of individual police officers are at odds with those of their superiors. The result is often that the superiors are biased in some way, while the individual police officers have their own views, which are proved to be correct. As for the means of detection, they often rely on modern information collection, interrogation of prisoners and so on. Of course, this does not deny that the police have extraordinary professional skills and quality. There are many romantic and exaggerated elements in detective novels, and they are in sharp contrast with the outlaws who are the most evil and cunning. But in the police procedure novel, the police and the murderer are all ordinary people, the novel plot is very ordinary, does not have any magical exaggeration. Although as early as the mid-19th century, the western police system has been generally established, but with the police as the protagonist of the description of the work of case detection procedures of police procedural novels, but until after the World War II came out. The main reason for this "severe lag" is distrust of the country's legal system and law enforcement personnel. Popular novels based on social morality and readers' appreciation of taste try to reflect and satisfy people's ideas and wishes. Almost from the beginning, the classic detective fiction is the police as the other in a supporting role, to foil lead detective intelligence and magic, there is no denying the fact that at the time of the classic detective fiction, also belong to the police for the protagonist, a small amount of detective novels for supporting, however, the author in the description of the police, still, focus on their professional skills and quality, display their magic like a detective solve the case. The creation of hard-core private detective fiction in the 1920s did not bring about a fundamental change in the "police role", and the tone of the work was still romantic. Only after the second world war, with the criminal investigation becoming a specialized technology and the emergence of a complete set of case solving procedures, it is possible to completely realistic detective novels, that is, the police procedural novels that describe the case solving procedures from the perspective of police narrative. It is generally believed that the first British novelist police procedure is Henry ? wade. His 1929 novel, the duke of york's footsteps, was the first realistic description of the interrogation, surveillance, stalking, experimental analysis and other police work procedures, and some details of the police's personal life in the book has become a fixed pattern in many police procedural novels. The boom of the novel, however, the British police program or in the 80 s and 1970 s, on the one hand, Henry wade, morris polk etc. People also in constant launch, warmly welcomed by readers; Have sprung up in the field and, on the other hand, John ruixi, p. d. James, Ruth rendell and other creative talent, the British police program novels into the golden age. Compared with the early spy novels, the new spy novels do not have so much "patriotism" stale, but also inject more realistic vitality in the theme, plot structure, characterization and other aspects of the works. The authors of the new spy novel employ many of the techniques of the detective and police procedural novels to describe the enigmatic adventures of the hero and heroine as spies. New spy novels is by erskine chilton, des, William, and John buchen spy novels of the leadership of the inheritance and development, is also a dramatic change of the social, political - the reaction of the two world wars and the cold war. The spy novels in the late 19th century blindly pursued the romantic mode and divorced from reality. Most of the stories took place in foreign countries, and the spy characters were also legendary heroes. By the late 1930 s, spy novels on the writing technique and developing direction of obvious changes have taken place, a new generation of writer Eric ambler and graham? Will spy novels mode to promote green, preliminary established new spy novels. They use the new spy novels to show the complex political environment and moral bottom line in the two world wars, and write in a more realistic way, which improves the literary and aesthetic status of spy novels. After the second world war, the confrontation between the east and the west and the cold war provided new space for the development of British spy novels. Is a global panic over the cold war, doubt and plot, in order to conform to the reality, the new spy novels have to adjustments in terms of writing tone and complexity of circumstances: in previous spy novels, vicious cunning enemy, plot shows that while the new spy novels show us a new and even more gloomy world: British spy cannot come into contact with their enemies, the prestige of the domestic intelligence agency has fallen dramatically. This not only made the new spy novels popular, but also ensured that the political, technological and psychological descriptions in the stories were real and realistic. Then appeared like Ian Fleming and John le carre and Ryan Dayton such a rookie, his works with extremely vivid detail describes the complex on both sides of the cold war spy agency daily life scenes, created a new spy novels during the cold war, for John buchen type patriotism adventure stories with the coat of The Times. These newcomers and their fine works mark the golden age of postwar British spy fiction. Compared to the popular literature, the history of British popular literature is more distant, so also more rich content, half of the 20th century British crime novels not only inherited the characteristics of popular literature in the world, and has unique feature in content and form, in the rich literature field, for us to study the status of popular literature in the contemporary western literature is of great significance.